Our Vancouver Walnut internal door is for those who like a slightly easier life and don’t want the responsibility of finishing the doors. The Walnut Vancouver internal door is part of a range of environmentally sourced doors and there are other doors provided in the range of designs. Perfectly at home in a traditional or modern setting and with the door being available in a fire check option as well as a metric size, it is a versatile door perfectly suited to new build applications as well as re-modelling or renovation projects. The entire range that this door is part of has designs featuring flush panels along with a variety of glazed options. 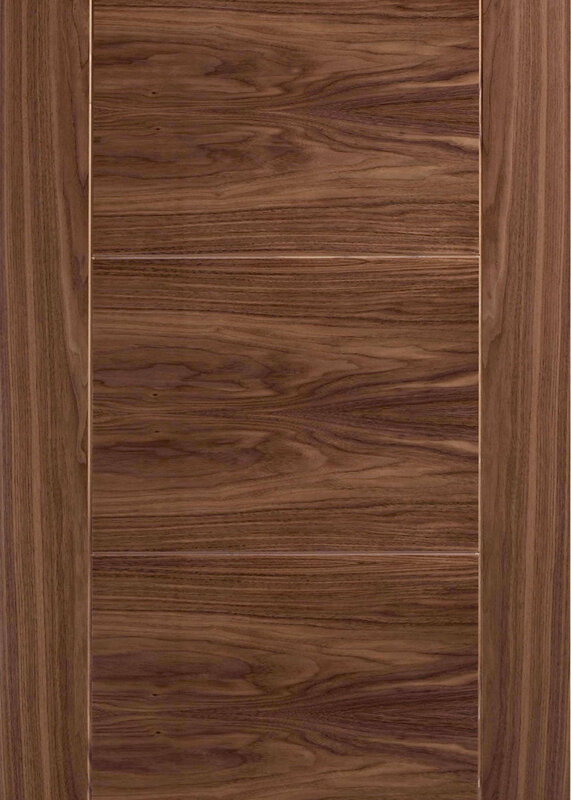 This Vancouver Walnut internal door is also available in a glazed option with clear toughened flat glass. The majority of our Internal and External doors are manufactured with engineered component parts. This ensures that the doors provide a solid feel, and the engineering brings an advantage in terms of strength and stability. All of our engineered doors are faced with veneers and matching lipping along their edges like the Vancouver Walnut Internal Door. See our other internal doors and fire doors here. We are committed to providing a range of doors that are environmentally responsible, and are fully committed to upholding the principles of both FSC and PEFC. We source our doors from manufacturers who source their materials from well managed forests. Therefore an increasing amount of the products we supply are FSC & PEFC accredited. We try to ensure that products on our website satisfy the relevant criteria. Please ask for more information if you require it.